Tesla has been dogged by reports that it fails to report serious workplace injuries on legally-mandated logs, and now the automaker’s former safety director is claiming in a lawsuit that he was fired in retaliation for raising concerns about the alleged practice. Update: Tesla has responded to the lawsuit, alleging that the executive was fired after management received an “onslaught of complaints” about his behavior, which included intimidation and making allegedly inappropriate comments about women. If found to be accurate, the claims by the former executive substantiate those made in a scathing report by the magazine Reveal in April that disputed the electric automaker’s safety record. 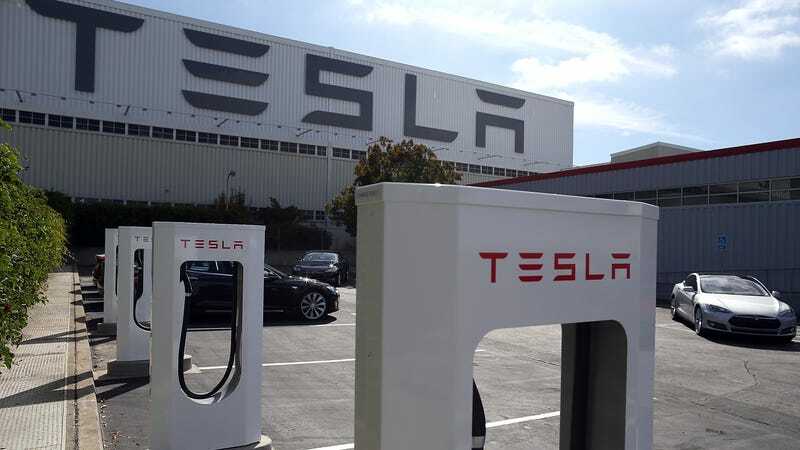 Carlos Ramirez was Tesla’s Director of Environmental, Health, Safety, and Sustainability until June 2017, according to a complaint filed last Wednesday in Alameda County Superior Court. Prior to that, his LinkedIn page says, he worked as the Vice President of Safety for SolarCity, the energy company that Tesla acquired in late 2016. While at Tesla, according to the complaint, Ramirez was assigned the task of creating a safety program at Tesla’s assembly plant in Fremont, California. Issues surrounding Tesla’s workplace records came to light in April, after the nonprofit Center for Investigative Reporting’s publication Reveal put out a story that said Tesla improperly classifies injuries on the OSHA 300 report—paperwork by the government required to log serious work-related injuries and illnesses—which effectively bolstered its safety record. But now Ramirez’s suit alleges he flagged the very issue at hand in Reveal’s report over a year ago directly to the automaker. Weeks later, the suit says, Tesla fired him. “Among other adverse employment actions, Tesla wrongfully accused Plaintiff of bullying, brought unfounded complaints against him, and terminated Plaintiff’s employment on June 8, 2017,” the lawsuit alleges. Tesla didn’t immediately respond to a request for comment. Ramirez’s suit lays out a litany of issues that he said he raised to Tesla about “unsafe and unhealthy working conditions and work practices,” including chemical and oil spills, chemical fires, workplace injury rate discrepancies and inaccuracies, and a failure to report or document workplace injuries. The lawsuit lays out several claims for retaliation and discrimination and asks for various compensatory and nominal damages. The National Labor Relations Board also filed a complaint against Tesla, after the agency said it corroborated claims levied by the United Auto Workers. A trial over the NLRB complaint began Monday and is slated to resume Tuesday morning. Mr. Ramirez was employed by Tesla for less than four months after joining from SolarCity, and during his short time at Tesla, it was his job to identify ways to enhance our safety program, and he certainly was not terminated for doing so. That would make no sense. One employee said that Mr. Ramirez commented on a fellow employee by saying ‘she’s got some big old [expletive].’ This obviously made the employee very uncomfortable. One of Mr. Ramirez’s direct reports said that he made inappropriate comments towards women, calling them names like ‘hun’, and that he regularly tried to intimidate others. Another employee told her manager that because of the abrasive language that Mr. Ramirez repeatedly used against her, she never wanted to interact with him again. One of Mr. Ramirez’s direct reports said that he regularly mistreated his team, and that she felt he bullied team members and others with abusive remarks. Multiple employees said that they were fearful of coming forward because they had witnessed Mr. Ramirez engage in intimidation and they were scared of being retaliated against by him. Bullying and harassment have no place at Tesla.